It was not to be. A below part first two quarters condemned Pesic’s team to defeat on their visit to Tenerife despite 16 points from Thomas Heurtel. The offensive talented of Abromaitis and Vasileiadis were too much for the blaugranes in the end with Tenerife taking an 86-81 win. The home side started well and Abromaitis and Tobey lead Tenerife to a 21-16 lead at the end of the first quarter. Tomic with six points was the pick of the Barça players in the opening quarter. In the second quarter Navarro lead a fightback that brought them to within two points at 28-26. Adam Hanga contributed 8 points but Tenerife’s shooting from the outside was impeccable and the home side took a 46-32 lead in at the break. In the third period Tenerife continued to have the better of the game but Hanga and Heurtel dragged the visitors back into the game at 66-59 with their effectiveness in three pointers. In the final quarter Barça Lassa played their best basketball, coming to within two points of Tenerife. 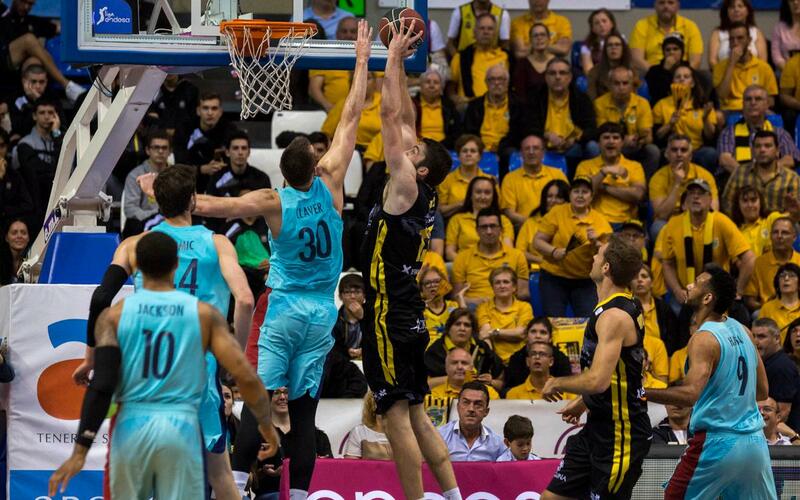 However, despite the efforts of Heurtel and Pau Ribas in the closing minutes Barça Lassa were unable to avoid an 86-81 final score in Tenerife.